Swimming pool numbers according to reported development applications (DAs) are up nine per cent for March 2014 compared to March 2013. 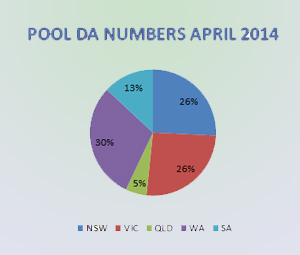 This March saw 789 pool DAs reported, a nine per cent improvement over 2013 when 729 DAs were reported. 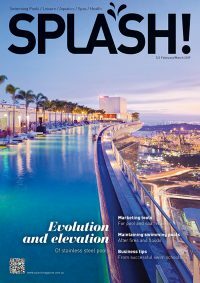 There is more information and analysis on statistics in the printed edition of SPLASH! 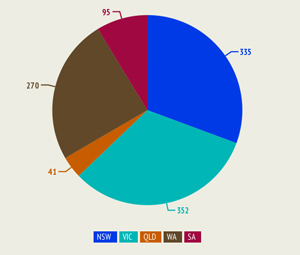 These figures give a valuable indication of the way the market is trending. However, they are not comprehensive and don’t include all pools built or even all DAs lodged. For example, they do not include pool projects that are approved as part of a new home, smaller projects under the cost threshold, or renovations that don’t require a DA. 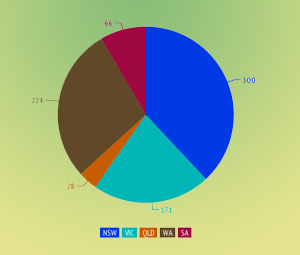 Also, not all councils are forthcoming with data; councils in some states such as Queensland and Victoria are particularly reluctant. 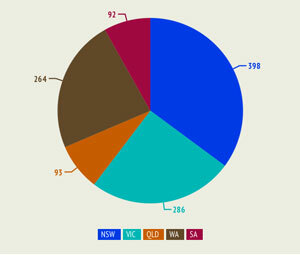 For further information and more complete reports, call Cordell Information on 1800 80 60 60. Keep informed with the free SPLASH! newsletter or follow SPLASH! on social media: Twitter, Facebook, LinkedIn and Google+.